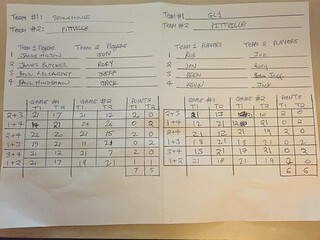 Tonight I managed to get 4 teams together to play some friendly matches. The idea was to give some players, who don't currently play much league badminton, the opportunity to gain some experience playing competitive matches. 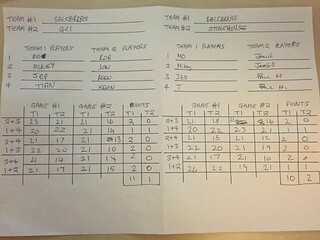 We ended up with 4 teams of 4 players from Pittville, Stonehouse, GL1 and Balcarras. 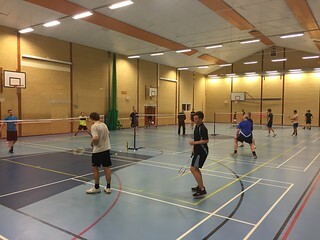 The teams managed to play two matches (following the Gloucestershire Badminton Mens League format), followed by some adhoc games at the end of the night.